Advantage Pest Control & Lawn Care has a great track record in the Killeen / Ft. Hood area. We use an integrated pest management program that destorys bugs and weeds at their source. Through both chemical and habitat modification we can remove a pest and keep it gone for good. Pest Control in Killeen TX has never been easier! You can pick between our three offerings below. Feel free to give us a call, we are happy to answer any questions you might have. Our location in Killeen TX services the greater Killeen area, including Copperas Cove, Kempner and Ft. Hood. We offer pest control, fertilization and herbicide treatments and termite treatment programs for your convenience. No job is too small. Give us a call for a free quote over the phone. It is our honor to service the City Of Killeen, and the military service men and women who live there. We also have a full line of pest management and lawn care programs for businesses, and have a special offer available for our Killeen Chamber Of Commerce members. 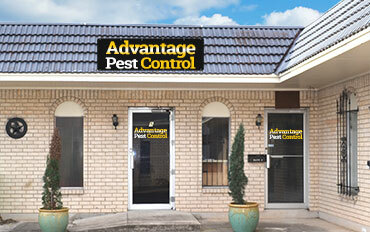 Advantage Pest Control & Lawn Care can take care of all your extermination needs. Roaches, Ants, Termites? No Problem! Fertilization, weed removal & lawn treatments? We got ya covered! We have proven strategies designed to work right here in Killeen TX. Any infestation can be neutralized. Don't just call any old Exterminator, experience the Advantage Pest Control Difference.